MAKE OSBORNE PLUMBING & DRAIN YOUR GO-TO PLUMBING COMPANY. With years of experience, top-notch service and free estimates on larger projects, we’re the smart option when you need repair and installation help. We work hard to keep our service professionals updated on the latest techniques and best products in the industry. We are confident in our work, so we offer a one year service warranty and also carry standard manufacturer warranties. 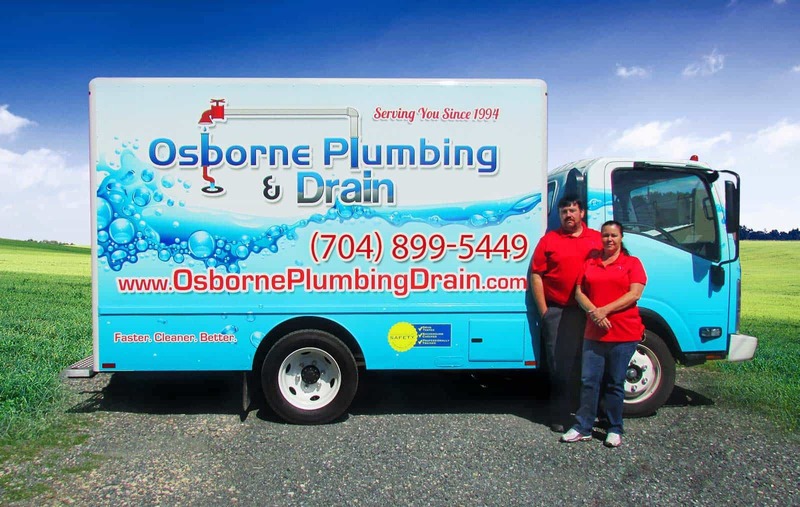 If you’re ready to have a residential or commercial plumbing system that flows like it should, schedule an initial consultation with Osborne Plumbing & Drain in Charlotte, NC. TRUST US TO HANDLE YOUR RESIDENTIAL & COMMERCIAL PLUMBING ISSUES. Thanks to our decades of experience, we’re able to tackle every plumbing project around your Charlotte home or business. Family owned and operated, Osborne Plumbing & Drain is your best choice for exceptional plumbing services in Charlotte and Gastonia, North Carolina. Our plumber will come to your home or business, inspect your system and give you an expert solution to your plumbing issue. We’ll educate you on the problem so you’ll know what to look for in the future to avoid major repair needs. When you’re tired of dealing with an inadequate plumbing system in your Charlotte home or business, schedule an initial consultation with Osborne Plumbing & Drain.